Program 306 – Sacred Landscape | Wisdom of the Elders, Inc.
Hidden amidst the volcanoes of the Cascade Mountain Range, favorite berry-picking spots are prized by people in the northwest. For the Confederated Tribes of Warms Springs Indians, huckleberries have been celebrated and picked for thousands of years and are included in the first foods ceremony held every spring along the Columbia River. Today, Judy Bluehorse Skelton, talks about berries and what the tribe is doing to ensure there will be plenty to pick in the future. The Three Sisters of the Northwest are not corn, beans and squash. They are berries: blackberries, raspberries and huckleberries. There are far more kinds of berries than just three, but the most beloved of them all is the huckleberry. These shiny purple gems burst with sweetness and are loaded with nutrition. Their relative, blueberries, have been extensively researched and found to contain nutrients that help prevent cancer and heart disease. They are a tonic to the arteries and blood vessels, alleviating hypertension, high cholesterol and macular degeneration, a condition which often leads to blindness. Berries were an important food staple in the diets of Native people throughout the northwest, and today the tribes recognize that these delicious fruits hold the key to restoring health. Current use and future demand for cultural plants is expected to increase due to population growth, shrinking habitat areas, and increased tribal interest in health and cultural heritage. Huckleberries that tasted like apples. Mt. Hood Wilderness, OR. 2005. Courtesy Adam Schneider. To halt the decline of traditional gathering places and habitat for these healthy foods, tribes across the country are changing federal land use policies as they begin restoration projects on tribal lands. Programs to re-introduce controlled burning, have been found to restore native grasses and other culturally significant plants, while reducing the danger of major forest fires. Selective logging maintains healthy habitat for native plants and wildlife, and prevents the soil erosion and species destruction associated with clear-cutting forestlands. 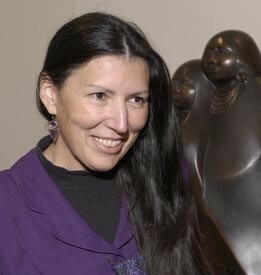 The Confederated Tribes of Warm Springs Indians worked in partnership with Oregon State University and the Mt. Hood Forestry Service to restore traditional huckleberry fields. Part of this project included assessing culturally significant plants on the reservation, which are those used for food, fiber and medicine. 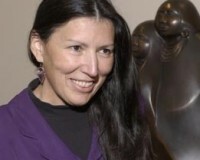 The study also focused on cultural survival, ecosystem diversity and health, and three aspects of treaty rights: ceremonial, subsistence and commercial uses. Warm Springs oral historian, Evaline Patt, interviewed elders to learn how the huckleberry fields of Mt. Hood were once cared for. The elders were very happy to be consulted as part of this program, working to bring back the huckleberries to Mt. Hood. Elders had observed that for some time the huckleberry fields had been crowded out by overgrown underbrush. They would like to see controlled burns to enhance new growth, which was the traditional practice. 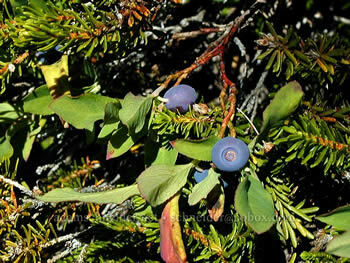 Warm Springs Forest Management recognizes that huckleberries are revered as one of the most important spiritual and cultural resources on the reservation. More than just another “forest resource,” the plant itself represents the life processes by which the people live: sunlight, water, soil and harvest, foundations of life. 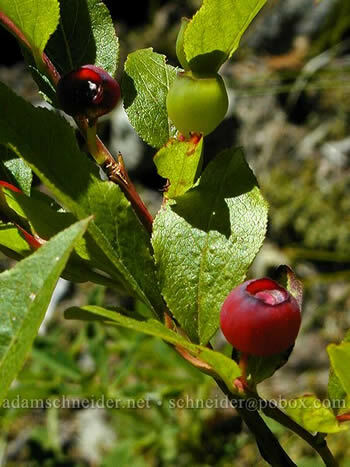 Working together, this unique partnership discovered and linked information about ecological, cultural and socioeconomic factors that influence the productivity and sustainability of huckleberries. Evaline Patt tells us that the elders encourage the spiritual ways in all things: they remind us to do the prayers, do the huckleberry feast first, before picking. The elders are excited that the once abundant huckleberries will come back again to Mt. Hood. With each breath, with each step, with each heartbeat. Osudadu.